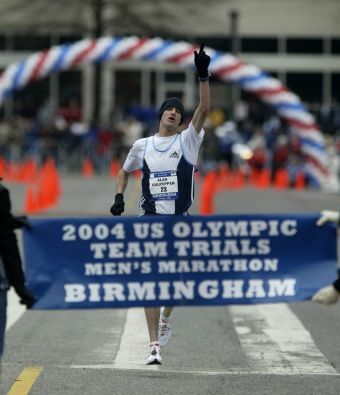 In episode 9, we interview our fastest subject yet: 2:09 marathon man Alan Culpepper. Culpepper offers a 360 degree view of the sport from the perspective of elite runner turned race organizer and coach. Alan recounts his 2007 cross-country nationals win at Boulder, offers pithy training tips, and aids us in our quest to shed light on the business of track and field and road racing. Elsewhere in the episode, Gregg discusses the sub 2:10 Americans and finds in the mailbox an inspiring letter from a listener with a success story. Brenn takes out Matt Fitzgerald’s “The New Rules of Marathon and Half-Marathon Nutrition” from the library and gets on the soapbox to discuss the Nike Oregon Project silver and black singlets. And as we kick off our own marathon training cycle, we offer listeners a quicker workout alternative to the Yasso 800s – the Cloud259 1000.